This is how Stella Leona Customers Roll! Where there’s a will, Jim Rufenacht will find his way to Stella Leona! Jim is a long time Stella Leona regular customer! He always has a smile and often brings friends with him to the shop. 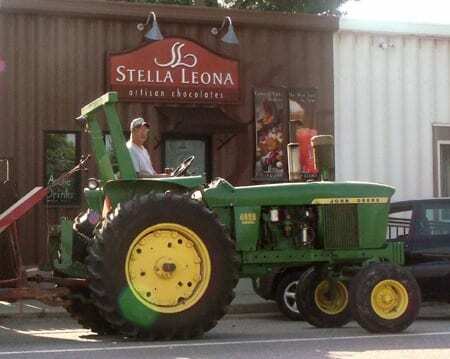 Last week Jim came by the shop on his tractor with his Stella Leona mug in hand! Whether by truck, car, on foot or in a tractor, we’re just glad he finds his way here and we’re always happy to see him!